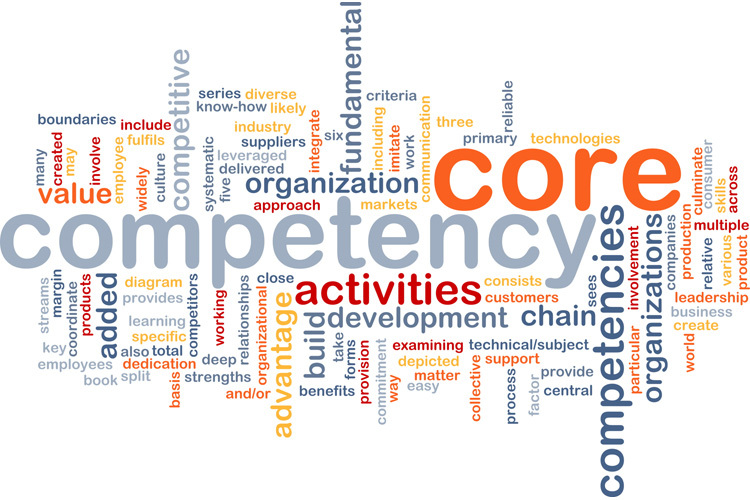 This page provides a list of key career competencies . Knows what we do and how we do it. Is aware of our competitors. Up-to-date with general business news. Aware of developments in the sector. Thinks about implications. Has worked in a commercial setting. Understands the importance of customer satisfaction and shareholder value. Able to identify and separate out the key components of problems and situations. Able to manipulate and interpret information from a range of sources, to spot patterns and trends in information and to deduce cause and effect from this. Can generate a range of creative solutions, evaluate them and choose the most appropriate option. Able to pick up and assimilate relevant information quickly and easily. Learns new tasks rapidly. Responds swiftly and appropriately. Can think on their feet in rapidly changing environments. Actively participates in team. Encourages co-operation. Aware of the needs of others and responds flexibly. Shares information and supports other team members. Can get things done through others and set realistic objectives. Seeks opportunities to develop others. Prioritises team goals over individual goals. Able to communicate information and ideas clearly and articulately both in oral and written form. Uses appropriate language, style and methods depending on audience and the purpose of communication. Able to convey complex information clearly. Anticipates the information that others will need. Measured confidence to take on demanding work or put forward views when they may be challenged. Stays calm in a crisis. Handles competing demands. Overcomes setbacks. Welcomes and learns from criticism. Takes balanced view of situations incorporating different perspectives. Seeks alternative viewpoints. Recognises priorities, weighs up different options and evaluates risks. Reaches logical conclusions and decides on appropriate plan of action. Evaluates previous judgements in order to improve. Has the ability to recognise information needs and identify and utilise appropriate information sources. Persists in seeking information and adopts a variety of strategies. Questions, checks and evaluates information and sources. Pays attention to details. Able to achieve results in a quality, timely, and cost-effective way. Sees priorities, plans the efficient use of resources, and monitors progress against objectives. Anticipates crucial stages in projects. Formulates alternative means of achieving objectives. Responds effectively to unforeseen events. Sets high but achievable standards for self and others. Seeks opportunities to improve process and outcomes. Constantly reviews performance to identify areas to develop. Able to influence the views and behaviour of others through persuasion and encouragement. Manages conflict or other sensitive issues tactfully and effectively. Able to adapt behaviour to a wide range of people. Sets personal goals which are challenging but achievable. Pursues these with energy, persistence and determination. Enthusiastic and committed to improving personal performance levels. Able to work things out without having to be shown too often. Takes responsibility for own time and effectiveness. Alert to opportunities to contribute appropriately without being told. Able to spot and implement opportunities for improving situations.